Cop shows have a long history of being popular on Network Television. They are easy to follow and they have a predetermined formula. There is a murder in the first few minutes; our usual police officers arrive at the scene. They go after the wrong suspect, there is an unexpected twist and finally they catch the killer. You don’t have to watch all the episodes to get it and you don’t need to obsess about the characters; you just need to show up and watch. Now, I am a huge fan of serialized drama, so I don’t appreciate that five thousand variations of CSI are able to co-exist while Flashfoward, The Event or Last Resort couldn’t go on for more than a season. However, I still believe it is possible for a cop show to be good. So what exactly makes a police drama above average? Well they need to have a hook. We know cops solve crime, but in order to be interesting they need to have something else, something different. In addition they need to have creative crimes of the week, smart dialogue and above all engaging characters. Bones is a show about a brilliant anthropologist (nicknamed Bones) who helps her FBI partner in solving murders. I am not obsessed with Bones or anything, but week after week I find myself willing to watch it and I never get bored when I do. 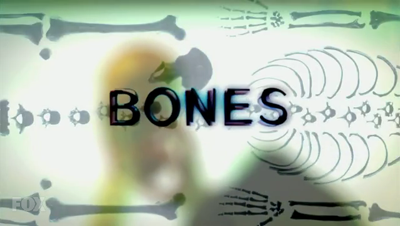 What makes Bones different is that they focus on the scientific aspect of the crime-solving rather than the ‘law & order’ angle. In this sense it is more of a scientist show than a cop show. The leading characters Bones and Booth, played by Emily Deschanel and David Boreanaz, have a great dynamic and a natural chemistry which works very well as a background to the main storylines. The show also uses pop culture in their story lines, usually a comical way (they have a Jersey Shore episode, need I say more?) and they give more weird scientific facts than the Discovery Channel. It is not your average ‘cop’ show and episodes may not be addictive, but at least they are engaging. Richard Castle, a famous mystery novelist pairs up with a beautiful police woman to solve crimes while getting inspiration for his best-selling books. Every cop show has a central couple; usually they are male/female to exploit the sexual chemistry. Castle is not the exception, but it is a funny twist that one of the partners is actually a writer (He has the bulletproof vest to prove it). Becket and Castle would give Booth and Brennan a run for their money on the chemistry department. And let’s face it; Nathan Fillion has charm for days. Castle is also full of great supporting characters. Richard’s mom is a failed theater actress while his daughter is a smart teenager who oftentimes is more mature than he is. The other cops in the precinct (Ryan and Esposito) are equally likable. This show also does a great job incorporating popular culture in the cases. For instance they had a vampire spoof, a fairy tale themed crime and a film noir episode. And for the fans of that other Nathan Fillion cult-hit, there have been more references to Firefly than I can even count. 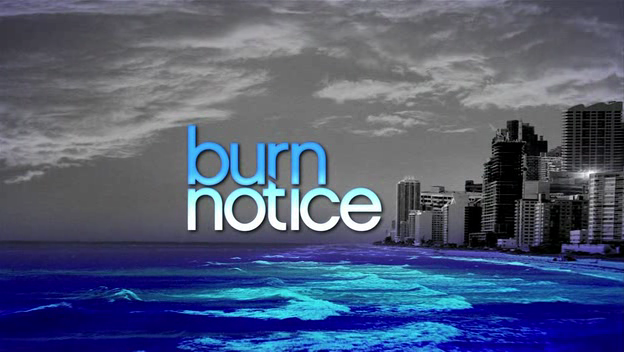 Burn Notice is about a CIA spy, Michael Weston, who gets burned and forced to live in Miami. He is not exactly a cop, but what can a retired spy do in a tropical paradise? Solve crimes of course. Michael partners up with his friend Sam, former IRA girlfriend Fiona and even occasionally his mother to help out the citizens of Miami. The show doesn’t have the traditional ‘cop drama’ structure. Rather they have Michael narrating the spy craft and how it applies to the job-for-hire of the week. Michael has that all school spy/Mcguiver thing going on which makes it fun. The show has a serious subject, but as all USA shows it is pretty light and it is just plain fun to watch. White Collar is another show with an unexpected partnership. This time, Peter a White Collar FBI agent teams up with Neil Caffrey, a con artist/bond forger. The difference is that this is a guy/guy couple so it is a whole different dynamic. Instead of focusing on sexual tension White Collar is about friendship and trust. I also love the fact that they gave Peter a good marriage. Where does it say that all relationships on TV need to be doomed? The cases are not always the most original, but they are entertaining enough and they make up for it with a great cast and awesome supporting characters (especially Mozie). This show is what all procedurals should aspire to be. It follows ‘the case of the week’ model without becoming predictable or tiresome. It also has a very original premise. The show is about a computer genius (Michael Emmerson) who builds a crime prediction machine which provides SSNs of the people who will be involved in the crimes (victims or perpetrators). He seeks the help of a former CIA Agent (Jim Caviezel) who in turn recruits a couple of detectives to help him out. If the two leading actors weren’t enough to convince you this is an A-list cast, Taraji P. Henson is also in the mix and the show was co-created by JJ Abrams and Jonathan Nolan. The tone of the show is dark and serious which makes it feel more like a movie and less like your everyday cop show. Compelling story-lines, realistic dialogue, amazing photography and superb acting make this a superior police drama. We all know Sherlock Holmes is not just any detective; he is the ‘super-sleuth’. The character was brilliantly created by Sir Arthur Conan Doyle and there have been countless adaptations. 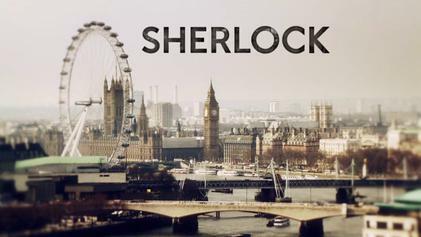 Sherlock brings the classic detective stories to the 21st century. They follow the general plot of the books but they incorporate technology and other aspects of modern life. Dr. Watson has a blog, text messages are the new form of communication and ringtones can provide unexpected comical relief. Characters speak at a rate of a million words per minute forcing the viewer to keep up, Sherlock never ceases to amaze with his intuitive capacities and the mysteries are intricate and captivating. Every episode is like a mini-movie. Probably the best mystery show on TV right now. The Mentalist is a show about a fake psychic who works with the police department and uses his intuitive skills to help them solve crimes. This is not the most creative show; the characters are likable but not particularly interesting. I pretty much like this show because of Simon Baker, if I am being completely honest. I can’t think of anything else that is fresh or original. It is an enjoyable show with good writing and I like the fact that there is a male/female couple at the center of the show but it is completely platonic. I could easily live without it, but I enjoy watching it when I can. Psych is a show about a fake psychic who solves crimes for the police department. Sounds familiar? Well psych actually came before The Mentalist, but what is so different about this show? It is a comedy! And there simply aren’t enough comedies about cops. Psych is endlessly creative and funny. They also have two male leads that are best friends and they are ridiculously codependent and awesome. The cases are always original and funny. They mock and pay tribute to everything! From Hitchcock movies to Slumdog Millionaire and Twin Peaks. It is one hour of guaranteed fun.